If you are in the market for a new smart TV, you may want to check out LG’s current 2012 lineup that was introduced at this year’s CES. As you may have heard, the TV industry isn’t exactly crushing it as some would have expected, causing manufacturers to drop prices significantly. There is no better example of this industry-wide change than through the prices that Amazon is putting up, right now. 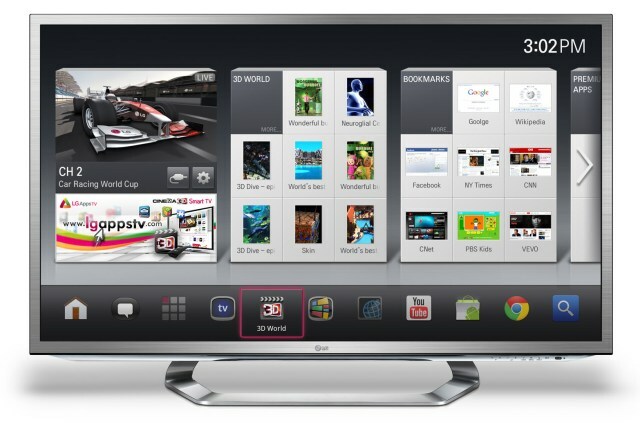 You can grab most of LG’s 2012 lineup of smart TVs for over 40% off, including their two Google TV models. While these GTV-enhanced sets aren’t quite as impressive as their flagship line (only 120Hz and not as thin of a bezel), at $1499 for the 55″ and $999 for the $47″, I’m not sure you will find a better deal. They still offer 1080p, 3D, and come with 6 pairs of 3D glasses. With that said, if you do want their top of the line series, meaning 240Hz and an ultra-thin bezel, you can get yourself into either a 55″ or 47″ at the same prices as the Google TV models.